Contrary to the claims of evangelical Christians and many Orthodox Jews, the Bible does not appear to be the unalterable, inerrant word of God. Hebrew scholars been undertaking a project to publish an authoritative critical edition of the Hebrew Bible (the Old Testament for Christians) and trace every change made to the text over the millennia. What they have found is that the original Hebrew Bible was significantly different from the one Jews and Christians revere today. This does not make the Bible useless, however; it merely makes it human. A group of Hebrew scholars have been working on publishing a comprehensive critical edition of the Hebrew Bible out of a small office in the Hebrew University in Jerusalem. 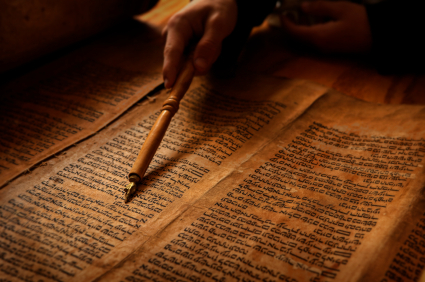 According to Mattie Friedman of The Huffington PostBible Project scholars have spent years combing through manuscripts such as the Dead Sea scrolls, Greek translations on papyrus from Egypt, a printed Bible from 1525 Venice, parchment books in handwritten Hebrew, the Samaritan Torah, and scrolls in Aramaic and Latin”. The work is so painstaking and attention to detail so rigorous that the group have completed only the first three of the Hebrew Bible’s twenty-four books (Christians divide the same texts up into thirty-nine books) since they began the Bible Project, as the endeavor is known, in 1958. Another book will be completed sometime during the following academic year. At that rate, the entire edition should be completed just over two hundred years from now. But the wait should be worthwhile, as the project is already giving us a glimpse into how the Hebrew Bible has changed over time. It would seem that the current text many Jews and Christians rely on for divine guidance is, in fact, the product of centuries of human intervention. For example, Bible Project scholars have produced a chart listing all of the variations of a single phrase from the Book of Malachi. In our current version of the book, the phrase states “those who swear falsely”, but in quotations from rabbinic writings dating to around the fifth century, it states “those who swear falsely in my name”; meanwhile, a passage from Deuteronomy referring to commandments given by God “to you” once read “to us”, showing a crucial difference in meaning. But inconsistencies can prove even more significant: our current version of the Book of Jeremiah is one-seventh longer than the version which appears in the two thousand year-old Dead Sea scrolls. Importantly, some prophesies—such as the one about the Babylonians seizing and returning Temple implements—seem to have been added retroactively, after the events actually happened. Then there is the question, what is the exact nature of these changes and discrepancies? Bible Project scholars attribute the great bulk of them to textual anomalies, scribal errors, and other human mistakes which inevitably became a part of the Hebrew Bible and were inherited generation after generation through both oral and written traditions. 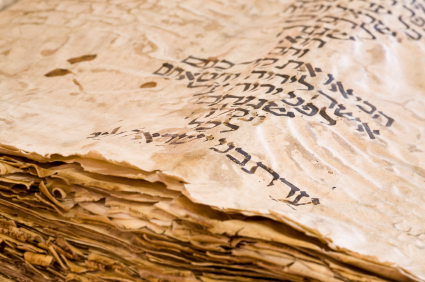 In other words, the Hebrew Bible we use today includes these human errors within its pages. What does all of this imply for the authority of Judeo-Christian scripture? It basically means that Jews and Christians are preaching from a holy book created by humans. The Bible Project’s discoveries pose fundamental theological problems for Jews, because Jews view the Hebrew Scriptures, which include the Torah, as divine prophecy, but some of these prophesies seem to have been added after the event by human scribes. It also affects the meaning of Biblical teachings themselves. If older, more reliable texts say one thing, but newer texts in current use say another thing, which version is authoritative? Older versions of the Hebrew Bible, such as the Aleppo Codex, are considered more authentic because they are closer to the literary source, hence religious zealots all over the world may be using flawed or bowdlerized Biblical material to justify their moral convictions. And the fact that the “Word of God” apparently is not immutable and has changed over the years at the hands of humans implies that God has either changed his mind over the centuries, allowed humans to tamper with the texts that he inspired, or never played a role in the composition of the texts in the first place. At any rate, the Bible Project’s discoveries are important for modern-day people to know about, because they show that the stories and teachings fanatics use today to defend potentially harmful moral prejudices may not entirely support those prejudices after all. Besides, even if the teachings found in the completed Bible Project edition end up aligning closely with those found in newer editions, so what? It still would not prove that every word of the Bible is divinely inspired—it would only prove that bad habits are hard to break. But we already know that there are at least some major discrepancies. Despite its flaws, the Hebrew Bible is not an entirely useless work. It is still an epic literary masterpiece reflecting the legends, lore, and ethos of an historical people, and it seems unfair to expect human beings to inherit a perfectly embalmed vessel of God’s message generation after generation, century after century, without God overseeing every tiny human action. Inevitably, if human beings do indeed have free will, they will deliberately tamper with a manuscript here and there or accidentally make an incorrect pen-stroke, thus altering the content of Scripture and the Holy Bible for lifetimes to come. This does not mean that it is untrustworthy; it simply means that it was written by human beings, and it is silly to expect perfection in an imperfect species to begin with. In fact, this observation makes it easier to accept the Bible, because it suggests that the Bible was not the work of a schizophrenic, inconsistent, self-contradictory deity, but the work of people, whose foibles we can predict. If we can rely on human beings to make errors, we can rely on these errors to be reflected over the centuries in their greatest religious narratives. At the end of the day, they still tell us something about ourselves.